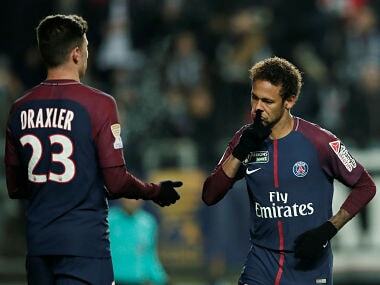 Paris: Neymar scored a second-half penalty as four-time defending champions Paris Saint-Germain toiled before overcoming 10-man Amiens 2-0 to reach the semi-finals of the French League Cup on Wednesday. PSG were again without leading scorer Edinson Cavani, who also missed Sunday's French Cup rout of Rennes after returning late from his Christmas and New Year break in Uruguay. Amiens' hopes of springing an upset were heavily undermined by the dismissal of goalkeeper Regis Gurtner on 34 minutes for a foul on Kylian Mbappe after charging out of his area. And Neymar eventually made the visitors' numerical advantage count by winning and converting a spot-kick eight minutes into the second half at the Stade de la Licorne. Mbappe, earlier denied by a fingertip save from Jean-Christophe Bouet, was then thwarted by a combination of the substitute keeper and the crossbar before firing another effort narrowly wide. 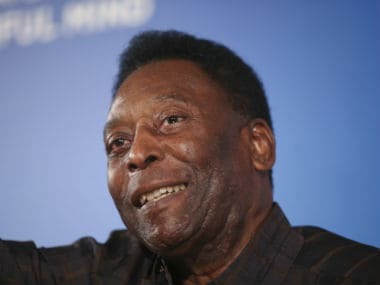 Marquinhos also struck the woodwork after connecting with a cross from Giovani Lo Celso, but Adrien Rabiot wrapped up a remarkable 35th consecutive win in domestic cup ties for PSG with a glancing header from an Angel Di Maria corner on 78 minutes. The goal was given following consultation with the video assistant referee (VAR) — being used for the rest of the competition as a test ahead of its expected arrival in Ligue 1 next season — after goal-line technology failed to award it. "Our team worked hard but we didn't shine like on Sunday, but we also didn't concede chances. 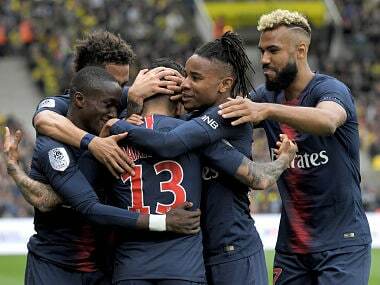 It was easier to win because we played with an extra man," said PSG coach Unai Emery. 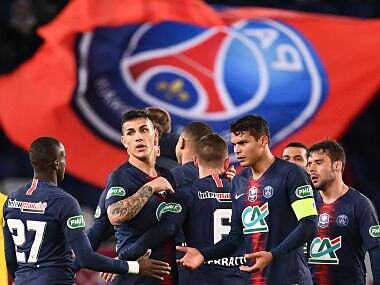 PSG will travel to Rennes, who they thrashed 6-1 in the last 64 of the French Cup, in the semi-finals at the end of the month, with Monaco set to host Montpellier in the other last-four tie. "All teams prefer to play at home. 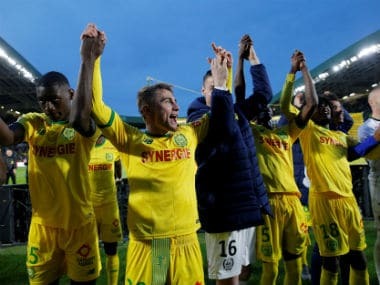 But we will make another trip to Rennes full of desire to reach the final and win the title," Emery added. Isaac Mbenza scored with four minutes left as Montpellier snatched a 1-0 win at Angers, while Adrien Hunou struck twice late on as Rennes defeated Toulouse 4-2. Monaco became the first side to reach the last four of the competition on Tuesday as goals from Thomas Lemar and Adama Diakhaby saw Leonardo Jardim's team overcome Cote d'Azur rivals Nice 2-1 at the Allianz Riviera.